Correspondence: [*] Corresponding author. E-mail: kevin.wang@auckland.ac.nz. This Thematic Issue of JAISE consists of four selected papers from various topics of the 13th International Conference on Intelligent Environments, 2017. Intelligent Environments is one of the main components of the concept of Ambient Intelligence (AmI) and covers some key areas of research including, but not limited to, human activity recognition, human-environment interaction, and various machine learning and data mining techniques for applications such as smart home, healthcare, and smart cities. Over the last decade, new concepts such as the Internet of Things and Cloud/Fog/Edge Computing started appearing that focus more on infrastructure design. Nevertheless, research on Intelligent Environments focusing on the human-centred system design, data analyses, and natural interactions remains strong. Our journal JAISE is keen to contribute and support the human-centred focus and to bring the state of the art research outcomes to the wider community. This Thematic Issue and its review process are managed by the Guest Editors Jason J. Jung (Department of Computer Engineering, Chung-Ang University, Korea) and Paulo Novais (Departamento de Informatica, Universidade do Minho, Portugal). It is a pleasure to work with them and the editorial team highly appreciates their professional work. 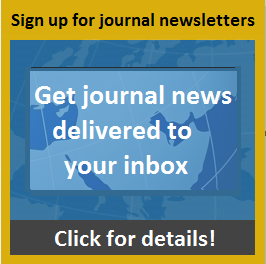 More information on the call for papers for future thematic issues is available on the webpage of JAISE at: http://www.iospress.nl/journal/journal-of-ambient-intelligence-and-smart-environments/.